Just a few bits to notify you on. 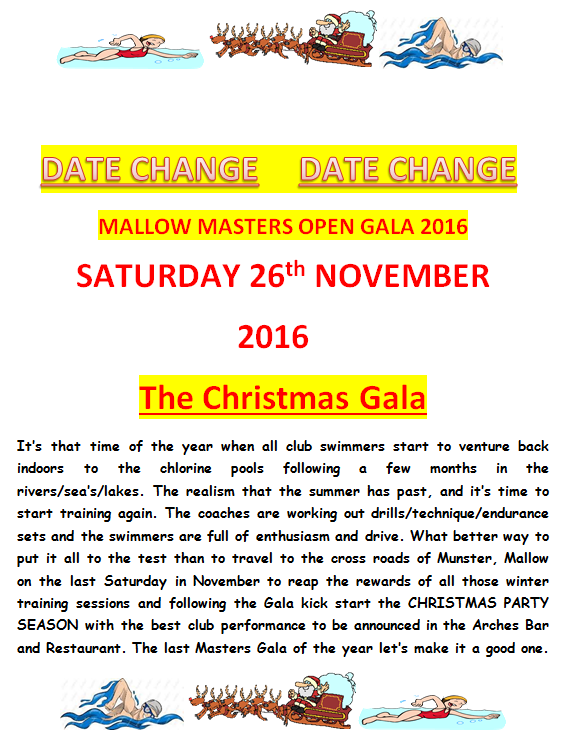 Firstly, as per my earlier post regarding the Mallow Masters Gala, there has been an updated calendar released, which can be found, on the Upcoming Gala’s page, that you can go to by clicking here. Also, the most up to date records for the Irish Masters and Leinster have been added and you can see them here. Just to let you know the dates for Mallow this year have changed. The gala will now be held on the 26th of November. This promises to be a great day out, so mark it in the diaries. More info on the events for the gala, closer to the time.